Amazon has held advanced talks on locating its second US headquarters in Northern Virginia, those close to process told The Washington Post. 'HQ2' is expected to lead to up to 50,000 jobs and $5bn in investment for the region Amazon chooses, with the company spending the past two years asking cities to offer it the best deal - in the form of billions in tax breaks, economic incentives, and infrastructure investment. 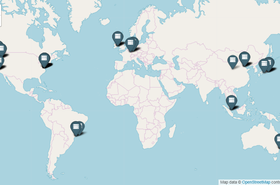 In January, the company announced 20 finalist cities, out of 238 applicants. The Post, which is owned by Amazon CEO Jeff Bezos, reported that the company appears to be close to choosing Crystal City, Arlington, Virginia, and is holding detailed discussions about how quickly it could move employees there, which buildings it would occupy and how an announcement would be made. However, it is unknown if Amazon is continuing negotiations with other finalists. Mike Grella, Amazon's director of economic development, confirmed the rumor, tweeting: "Memo to the genius leaking info about Crystal City, VA as #HQ2 selection. You're not doing Crystal City, VA any favors. And stop treating the NDA you signed like a used napkin." 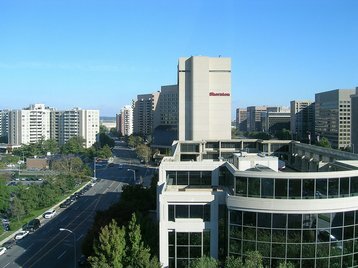 Crystal City is home to major defense contractors, the EPA, the General Services Administration, and numerous satellite offices for the Pentagon. Just south of downtown Washington, D.C., the buildings under consideration are located just a 12 minute drive from the White House, and five minutes from the Pentagon. The sites are within walking distance of the Ronald Reagan Washington National Airport. The conditions for Amazon choosing a location are myriad, from the fiscal incentives, to the transport infrastructure, to the price of housing. Amazon being a huge corporation with numerous business interests, the location will have different benefits for different aspects of the company, from its e-commerce branch, to its physical retail stores, to its huge cloud computing division, Amazon Web Services. The potential choice of a headquarters near Washington comes as Amazon ramps up its lobbying expenses, hitting record spending in the last quarter. 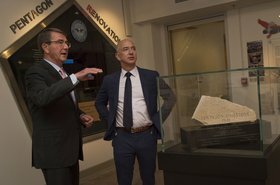 AWS is also believed to be the frontrunner in a competition for a major Department of Defense cloud contract. 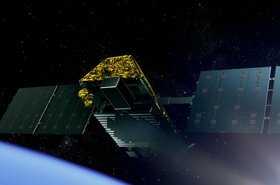 JEDI, a controversial single-award contract worth as much as $10bn for up to 10 years, will serve most of the military's digital infrastructure needs. Critics of the contract have claimed it was designed with AWS in mind, while others have said that major tech companies should not be working with the US Army. AWS is already a major government contractor, providing its GovCloud service and hosting the CIA. The cloud computing division already operates its East Coast campus in Fairfax County, Virginia. In addition to the agencies and businesses in Northern Virginia, the region is the largest and most active data center market in the world, benefiting from transatlantic cable links, low taxes, cheap power and close proximity to Washington. According to CBRE, the area had more than 600MW of colocation power capacity at the end of 2017. It is estimated that today, roughly 70 percent of the world’s Internet traffic travels through the region.